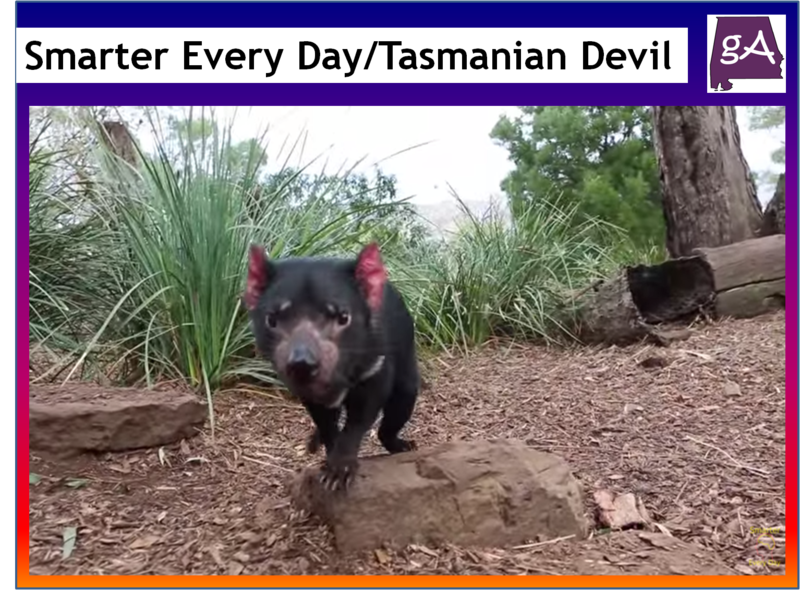 The YouTube channel SmarterEveryDay and Destin Sandlin talks about one thing that could cause the tasmanian devil to go extinct. The creatures are experiencing a cancerous tumor, and the video shows you the research going in to make sure the creatures don’t go extinct. Oh, and see the reaction of Greg Woods PhD seeing the Looney Tunes tasmanian devil at the end, funny stuff!